Thread: WTB: HK trigger pack registered by Tim LaFrance of LS (LaFrance Specialties). I wish to purchase a title II NFA transferable class III HK (Heckler & Koch) trigger pack manufactured and registered by Tim LaFrance of LS (LaFrance Specialties). Thanks for your consideration. Last edited by Neo-Geo; 03-28-2016 at 12:56 AM. Hidden Content Hidden Content Hidden Content . Hidden Content 7/14/2016. Check cleared 7/18/2016. Approved 6/16/2017. Stamps delivered 7/6/2017. Per the suggestion of coolhand, I just tracked down Tim LaFrance to see if he had anything set aside. 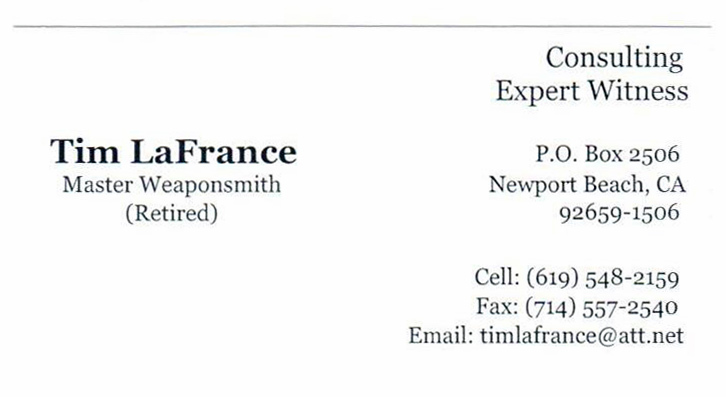 Spoke with him minutes ago, he's still sharp and involved in the machine gun biz. He checked his records and the last one registered was # 138. Tim LaFrance says, "There may be a few more but they would have been post sample by that time." He said these packs were all manufactured for the movie industry (sold to two different companies that he named) as they wanted these to switch around with different guns. From the LaFrance pack owners I've spoken to, the highest confirmed pack # is 100, and that owner says he knows someone with # 101. He doesn't have any packs left or any finished machine guns for that matter, as he sold off everything years ago. Last edited by Neo-Geo; 03-31-2016 at 07:51 PM. Oh no, the packs are not just for the MP5Ks, I just used K housings to express my plan. I currently have a MP5 & MP5 reverse stretch being built. Already secured some wooden furniture to use with those from this recent market listing. For now, I'm sticking to 9mm hosts for interchangeable/compatible trigger packs, mags, ammo, & suppressors across the board. 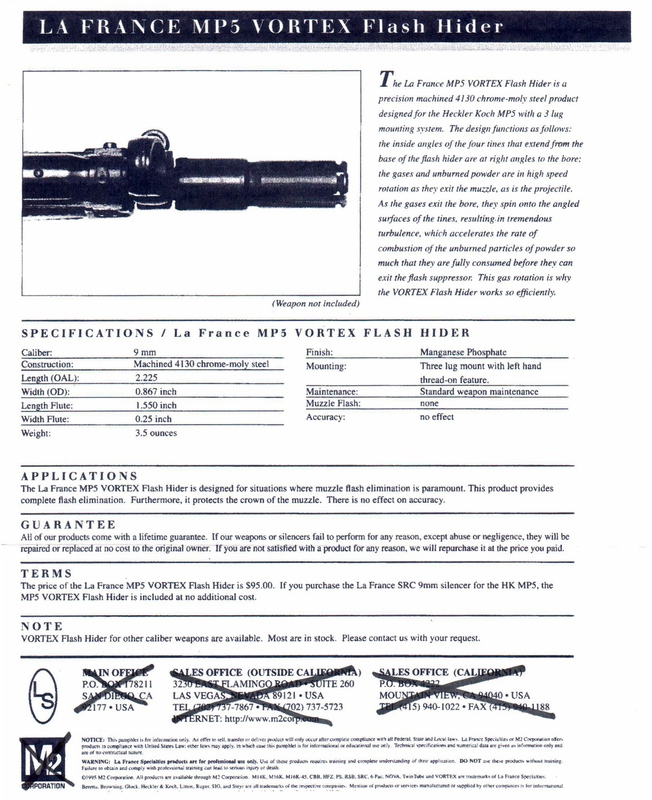 I need to pickup a MP5SD, for that's all that's left for 9mm hosts anyways, but now I'm leery about the proprietary suppressor, messy carbon clean up, and grain specific ammo requirements. 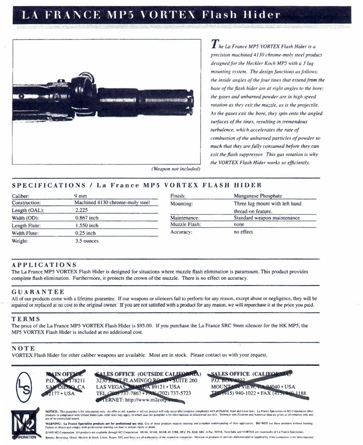 Sadly, I very much regret not bidding higher for Marine0303's MP5SD listing on GB, I lost the auction by $25! MP5K - its new, but the K-N barrel was installed by HK back in the day. Now on form 4, to remain safe queen. MP5K - new build with new 1/2x32 Navy threaded barrel, to serve as shooter. 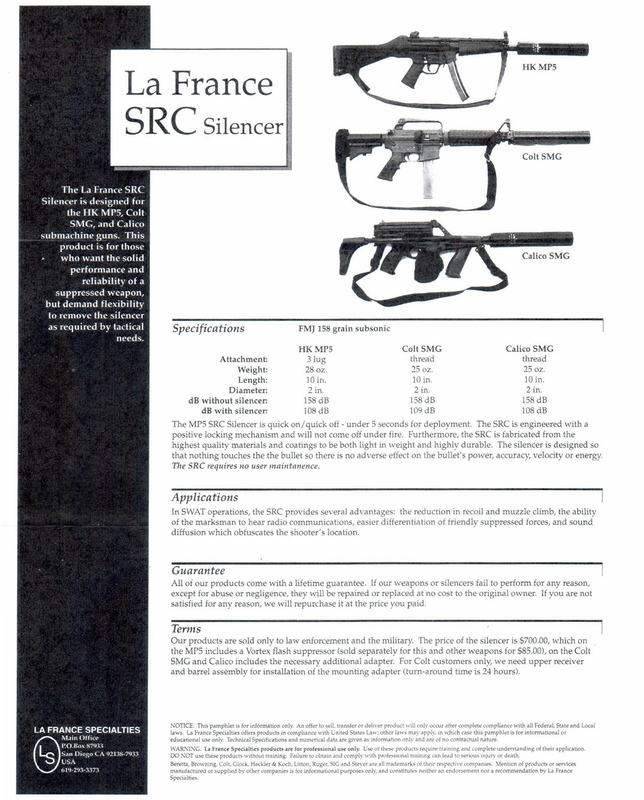 Though if I do manage to find the 3rd LS pack, perhaps doing SBRs doesn't seem necessary, but I want the option to leave these as SBRs for home defense when using semi-auto packs. Oh well, Nobama is # 1 gun salesman or sure. Last edited by Neo-Geo; 03-27-2016 at 05:01 PM. Neo, you need to get a beltfed. 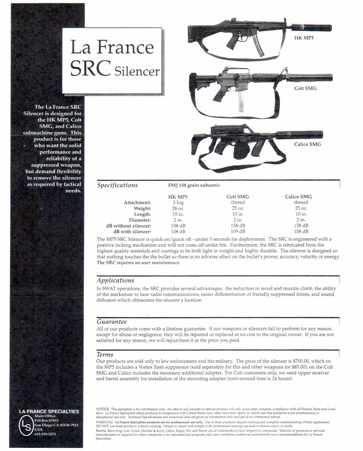 Mail arrived from the legendary Tim LaFrance for his SRC MP5 3-lug suppressors. Last edited by Neo-Geo; 03-21-2016 at 10:40 PM. After these past 2 weeks of searching, I can tell you that there are at least 16 self-proclaimed HK LaFrance pack owners here on HKPro, and I came across a few outside of HKpro as well, but I'm only buying this final pack. Thanks for everyone's correspondences and consideration with this project. Be nice to see before and after photos of the trigger box conversion.